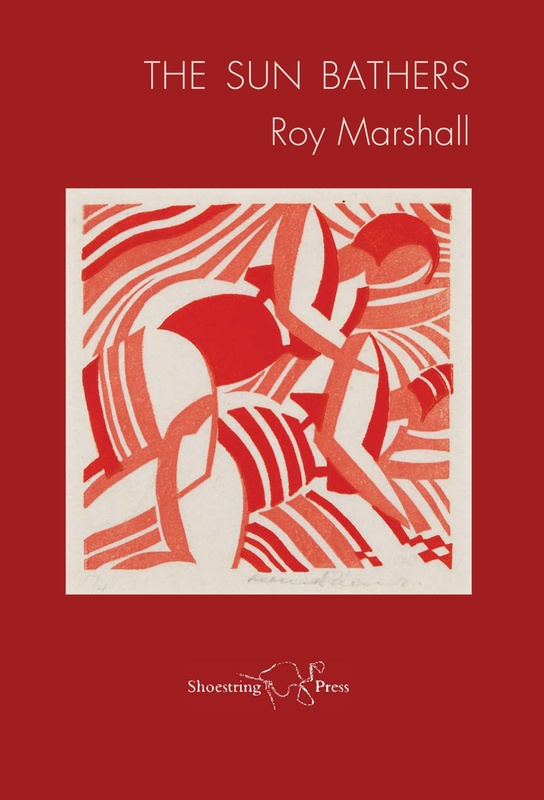 Roy Marshall’s new collection is ambitious in scope, scrupulous and well-wrought in design; his ‘plain style’ that invariably rewards re-reading, does not patronise his readers, rather challenges them to inhabit and re-imagine zones of experience and memory. Marshall’s high level of craftsmanship is evident (he has learnt from the Imagists, especially T.E.Hulme). We feel it in many ways: for example, the cohering internal and half rhymes, ‘drops’ and ‘stops’, ‘-thorn’s and ‘coin’, then on to ‘gone’; the fluidity and beauty of the short lines, the enjambment to evoke flight in all its senses. The poem appears slight or offhand, but is weighty in resonance; it is well worth putting this poem next to ‘Hawk’s Eye’, a longer meditation that riffs from the possibilities of Auden’s ‘hawk’s eye’ vantage point for poets. Marshall very often explores the power of transience and a consequent desire to preserve and praise in the face of this knowledge. However, he is not just caught in some post-Yeatsian ‘man loves that which disappears’ vacuum: his poems convince one of a world out there that is being experienced in a vital and open way — political points of reference and intrusions, social structures and historical processes. Big issues (the legacies of war in ‘Case’ and ‘Wilfred Owen’s Letter’, and superbly in the title poem; the poignancy of love in time; familial inheritances; the relationship between Art and Life, as in the terrific ‘Leonardo’ sequence): all are managed most skilfully often from oblique angles (very often the composite observer-participator role celebrated in the domestic idyll, ‘Sill’: ‘Nowhere better than this: half in,/Half out…’). There is not time enough here to celebrate or explore all the poems in sufficient detail, but this is a collection that is filled with invention, exceptional skill and rueful humour in the face of life’s home truths, well aware, as Marshall puts it, of our ‘temporary skins’ (‘Relic’). Andrew McCulloch, TLS November 2013. Gopagilla reveals Roy Marshall’s keen ear and deft touch. “Zen Garden” has the molecular weight of a haiku: ” as paper sips / from the brush’s tip…so my breath will pass / over your skin / send a ripple / to your heart / set it / darting. ” But earthier voices are also audible, from the Mona Lisa whose vowelly music could easily come from those famous lips – ” the slopes of my hips and shoulders were the blue of Tuscan Skies / but the creased cream of clouds / was only for his eyes” – to the Northamptonshire dialect of “the river swimmers ” – “to sosh and turn / as riving otters, at swirl, swash, spout and lather “. These are poems that hold words to the light until they catch it and flash with sudden truth. Three short reviews in Sphinx. Charlotte Gann, Frogmore Pages 80. Roy Marshall has a delicate touch. He writes so softly of family and love, aging and loss, war and suffering. A generosity runs through the poems, yet they are distinctly crafted; nothing loose or lazy about this work. The pamphlet also relishes an often Italian palette-‘the blue of Tuscan skies’ and Nonno’s ‘pale eyes’-and some interesting curiosities: I especially enjoyed the concept of ‘Records on the Bones’ which remembers underground presses producing jazz records on X-ray sheets in 1950s USSR. Roy Marshall shows that he deserves to be added to that growing list. As these two poems show, Marshall is especially adept at beginnings and endings. Gopagilla is a satisfying and poetically coherent first pamphlet. It delivers a lot and promises even more. I very much look forward to reading more of Roy Marshall’s poetry in the future. Close observation, combined with beautifully-judged phrasing. Wayne Burrows, in his foreword, talks of Marshall’s ‘…compression and unforced lyricism..’ which is about right, but such attributes don’t come without hard work and a long poetic apprenticeship; both of which Marshall evidently put in before bringing out this first slim collection. This pamphlet comes from the excellent series of first collections by Leicester-based Crystal Clear Creators. afterwards wars, the months and years of enforced peace. and the swinging sixties just beginning. a mirror of his mother. of her own sleep-slackened rose. for all the sweetness lost. Here Marshall’s minimalism and his pitch perfect cadences are reminiscent of and on a par with the work of Ian Hamilton and the early work of Hugo Williams. By and large Marshall does tend to concentrate on capturing fleeting lyrical moments. However, ‘Hawk’s Eyes’, a winner in the Ledbury Poetry Competition, shows that he is capable of writing at greater length. There are also poems here which show that he can cast his net beyond the narrow confines of childhood memories and family history. ‘Records on the Bones’ is a fascinating poem in which we learn that in Soviet Russia underground presses printed flexi-discs of American jazz on discarded x-ray sheets. ‘Telepathy’ recalls an early romance, while at the same time it wittily reviews the recent history of telecommunications. For some time now, Roy Marshall’s poems have been popping up regularly in journals. Above all they are memorable for the quality of their images. In ‘No Signs Available’ ‘sparrows rip a double helix of midges.’ Viewing a dead fox in ‘Wessex Wood’, we learn that ‘death has come to steal a breath / from the mouth of spring,’ while in ‘Presence’ the memory of the poet’s father is reduced to ‘your weather-cured shoes, still two sizes too big for me.’ It is to be hoped that before too long Marshall will be able bring out a full collection of his work. It is certainly one I will be looking forward to.